As you are knitting Christmas presents this weekend, may I suggest you listen to the most hilarious Christmas story ever: The story of Crumpet the Elf. 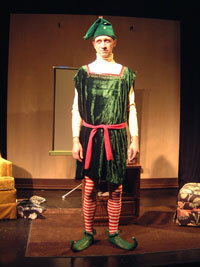 David Sedaris' career was launched with his NPR stories of his time as an elf at Macy's. It is now a holiday tradition. Don't forget to send in your project photos this weekend: alaskAmy at hotmail dot com.